The number one position goes to BMW S1000RR. It was introduced in Munich in April 2008. 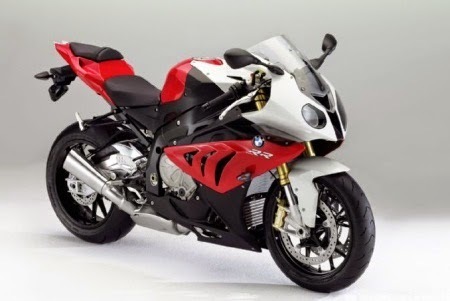 It is a sport bike made by BMW Motorrad in 2009. It was initially made to compete the Superbike World Championship. It has won many awards including Machine of the year.It has an engine of 999 cc (61.0 cu in) inline-4 redlined at 14,200 rpm. Its weight is 207.7 kg (458 lb), and 133.6 kW (179.2hp) at 13,250 is produced by the bike. S1000RR has an optional electronic traction control, standard, anti-lock braking system. It may not win many fans due to its radical styling. As for now in the world, it is the fastest stock production bike. The most powerful bike in the world for a long time is the Suzuki Hayabusa or GSX1300R made by Suzuki since 1999. Hayabusa means “peregrine falcon”, a bird symbol for speed. The name was chosen because the bird preys on blackbirds, showing the intention of Hayabusa to replace the Honda CBR1100XX Super Blackbird. Super Blackbird was surpassing by Hayabusa by at least a full 10 miles per hour (16 km/h).Its top speed is 188 to 194 mile per hour (303 to 312 km/h). The features of the bike are 1350 cc, 16 valve and four-cylinder. It won the acclaim of the world’s most powerful bike. The speed of the current model is electronically limited to 186 mph. This bike is seen as a death machine by many, so the company restricted its performance. 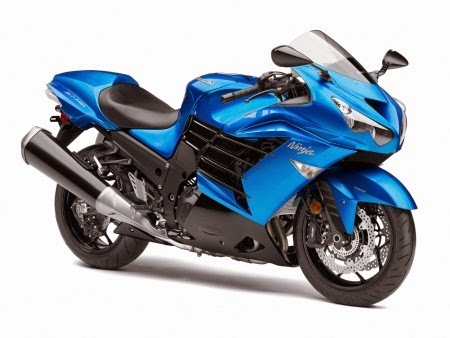 On third position is the Kawasaki Ninja ZX-14 or ZZR1400 the most powerful sports bike of 2007. 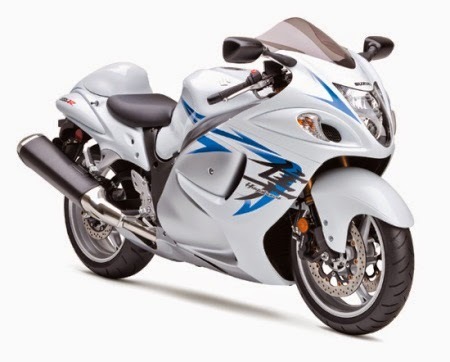 Introduced at Tokyo 2005 show and released as a replacement for the ZX-12R for the year 2006 model. The bike can accelerate from 0-60 mph in 2.5 seconds.An agreement was made between Japanese and European motorcycle manufacturers; as a result the top speed ofNinja ZX-14 is electronically limited to 186 mph (299 km/h). The Kawasaki Ninja ZX-10R was released in 2004. Minor changes were made in 2005. This bike has won the Best Super-bike from Cycle World magazine and has also won the prestigious master bike competition. It has ultra-narrow chassis, radial brakes and low weight.The features include four-stroke, 1000 cc, liquid-cooling, 12,500 rpm, four valve cylinders and DOHC. 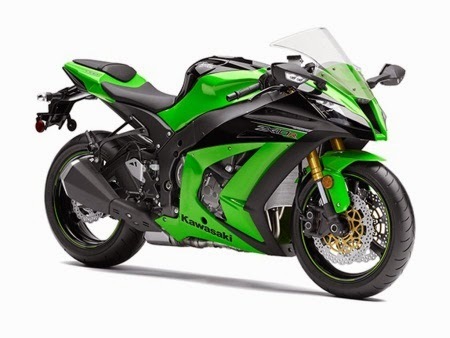 Ninja ZX-10R has a top speed of 288 km/h. 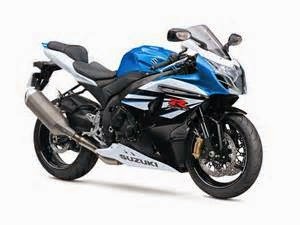 The Suzuki’s GSX-R1000 is a sports bike from GSX-R series of motorcycles. Launched in the year 2001 is the most beautiful looking bike.It is powered by 999 cc (61.0 cu in) liquid-cooled inline 4-cylinder, four-stroke engine, 192 hp of power at 12,100 rmp. This Gixxer has the top speed of 285 km/h and ensures it to be on the top five.